First let me say, I had a lovely birthday on Sunday. My parents and my Grandma came into town to share it with me. That is a very rare treat indeed to have everyone together that it didn’t matter so much what we were celebrating. My son treated my birthday with an enthusiasm that only a 5 year old can manage. He was more excited than I was, I think. At my age, it was nice to be called the birthday girl. I wanted to cook up a little something for everyone this weekend, but at the same time, I didn’t want to be spending all my time in the kitchen instead of where I should be – hanging out with all of them. So my go-to appliance on these types of occasion is the slow cooker. I can get everything going and then pretty much forget about it until dinner time. I decided on some chili and cornbread. I got the chili going in the morning and prepared the cornbread just before dinner. I had condiments for everyone to customize their chili just the way they like it; shredded cheese, sour cream, crackers and hot sauce. 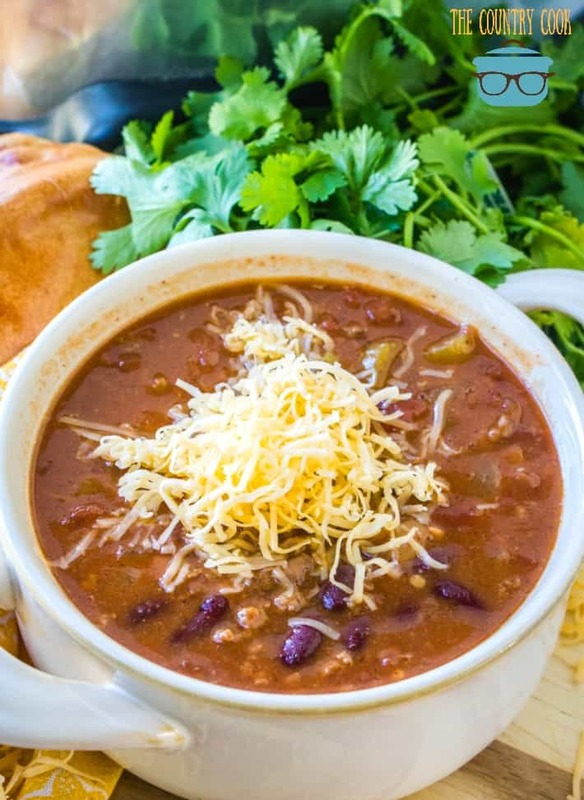 Cornbread and chili go together like peas and carrots. Although, my Grandma informed me she also likes peanut butter and crackers with her chili. I learn something new about her all the time. My father’s family is from Wisconsin and I learned from them and my husband (who is from Indiana) that this seems to be a Midwest thing.But I digress, let’s get to the food. 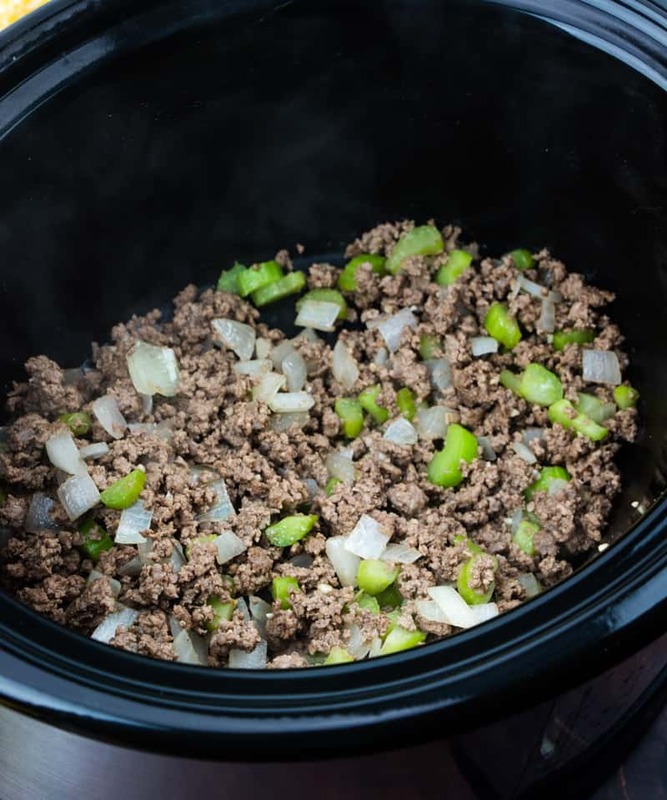 In a skillet, brown and crumble ground beef with celery, onion and garlic over medium high heat until meat is completely brown and vegetables are tender. Season with salt and pepper. 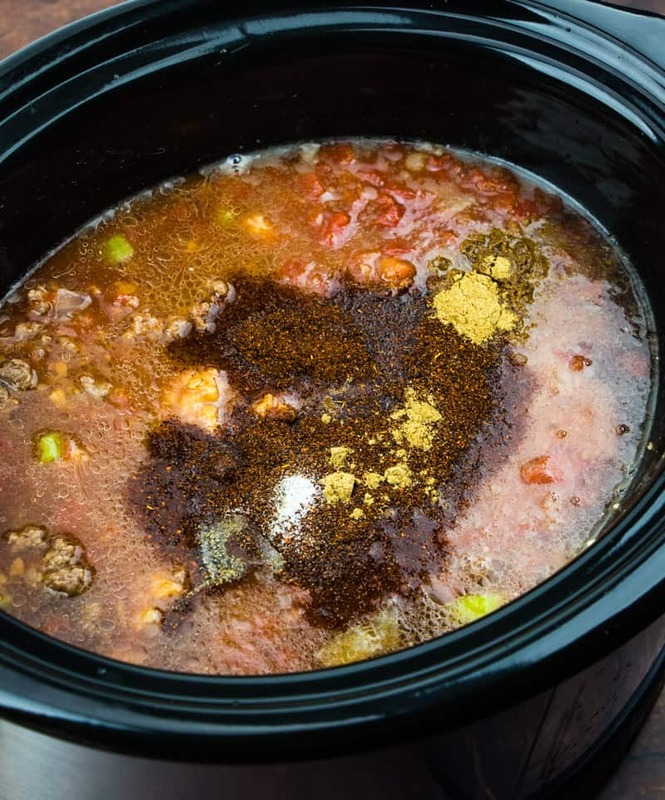 Drain excess grease and pour beef mixture into a 4 quart (or larger) crock pot. 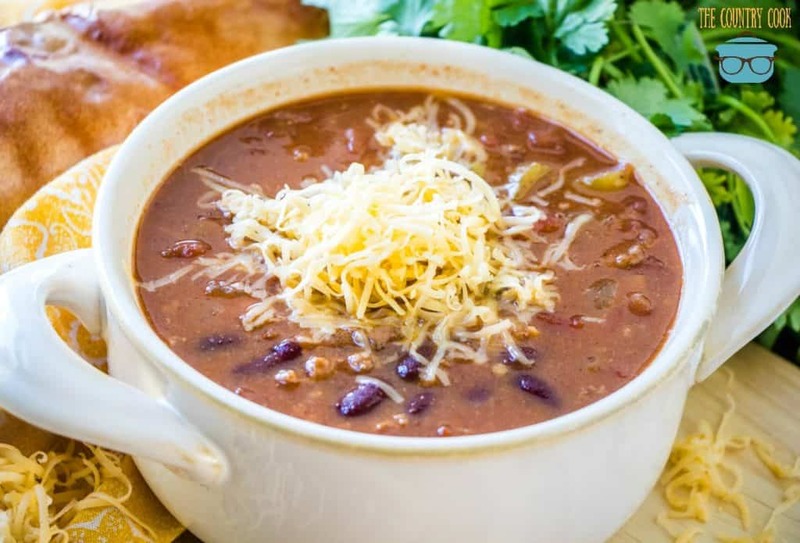 Open cans of tomatoes, tomato sauce, kidney beans (do not rinse or drain) and refried beans, beef broth and dump those into the crock pot. Add chili powder, cumin, Worcestershire sauce and mix thoroughly. Add salt and pepper to taste. Taste before serving and add more salt and pepper as necessary. 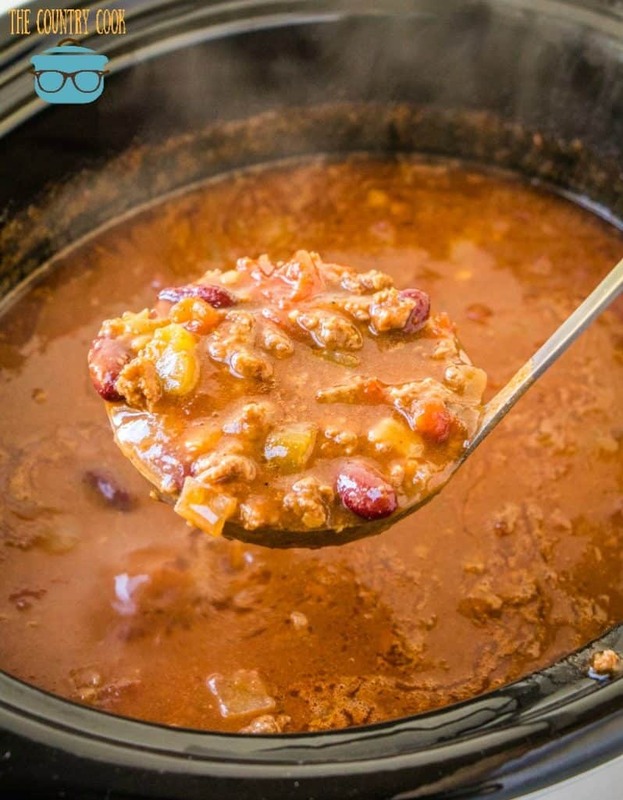 his recipe for The Best Crock Pot Chili gets better as it cooks low and slow in the slow cooker. 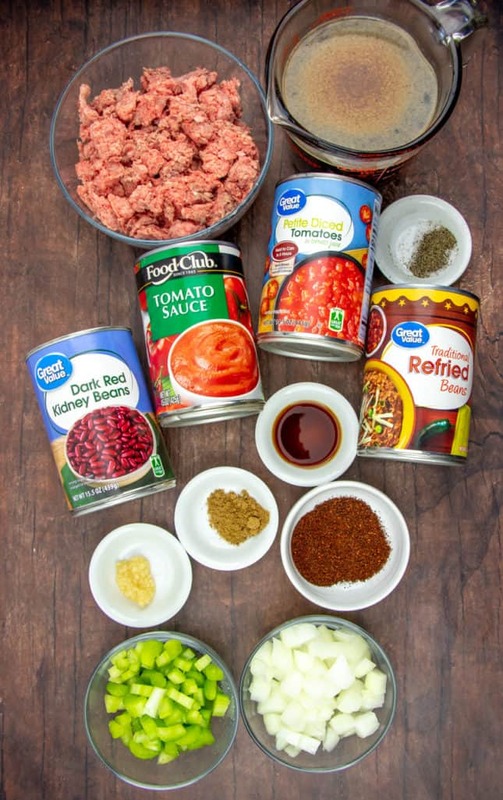 Ground beef, seasonings and tons of flavor! 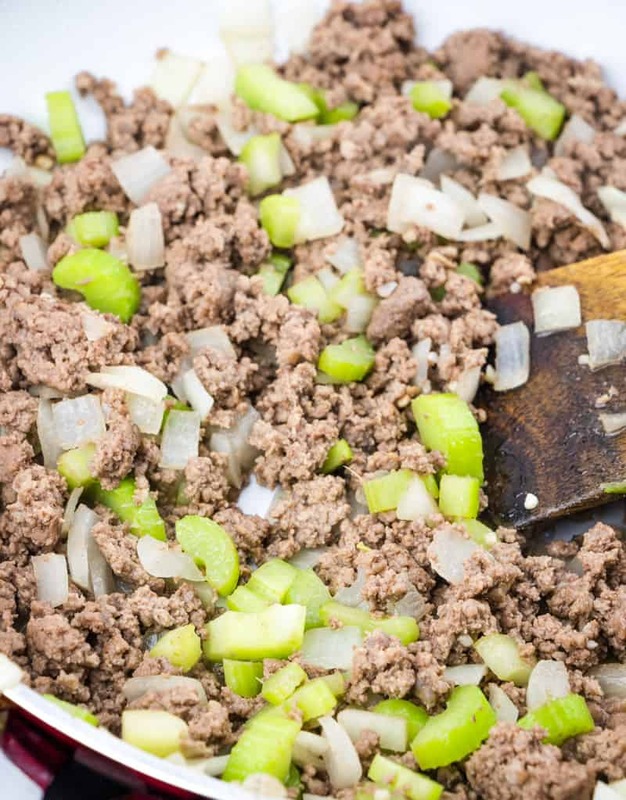 In a medium skillet, brown and crumble ground beef with celery, onion and garlic over medium high heat (until meat is completely brown and vegetables are tender.) Season with salt and pepper. 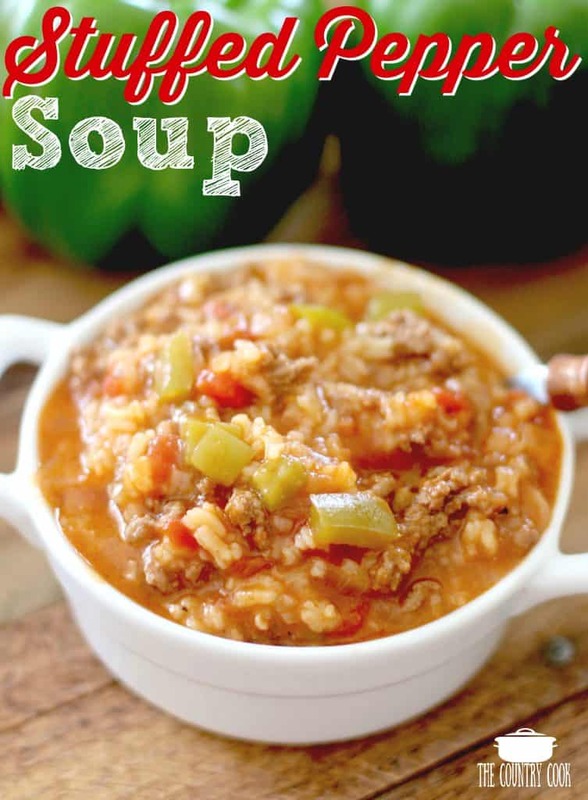 Drain excess grease and pour beef mixture into a 4-quart or larger crock pot. 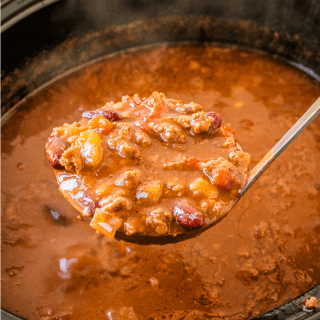 Open cans of tomatoes, tomato sauce, kidney beans (do not rinse or drain) and refried beans, beef broth and dump those into the crock pot. Add chili powder, cumin, Worcestershire sauce and mix thoroughly. Add salt and pepper to taste. Cover with lid and cook on low for 4-6 hours (the longer, the better). Serve with your favorite toppings. This is great for a crowd. It is easily doubled and you can put toppings out in bowls and let guests add whatever they like. 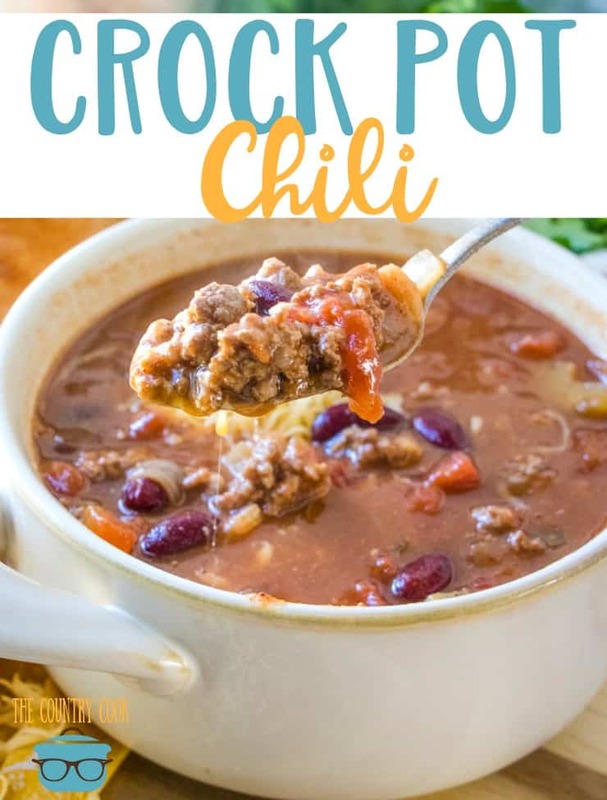 Also, if you want to turn the heat up on your chili, you can add 1 jalapeno pepper, seeded and finely minced to the pot. Or, you can just add a few shakes of hot sauce. 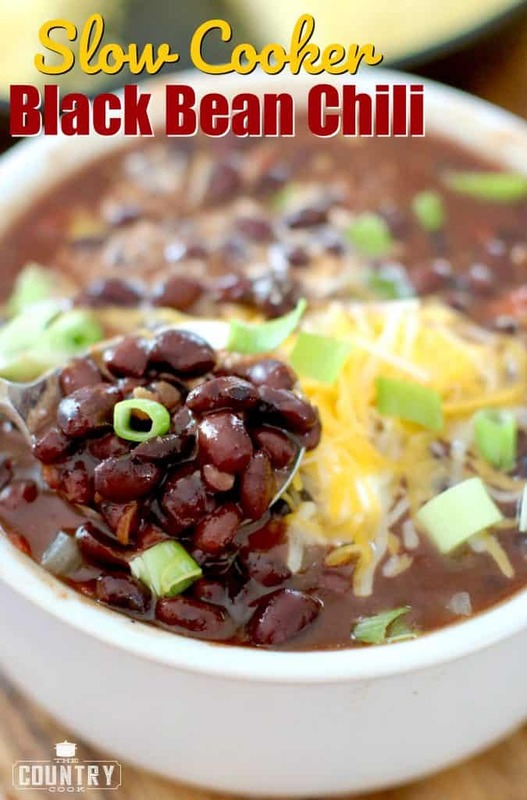 Also, try adding other types of beans along with the kidney beans. Pinto beans and black beans would be great in here (just make sure to rinse and drain those beans before adding to the pot). And if you like your chili thicker, add a bit of cornmeal. 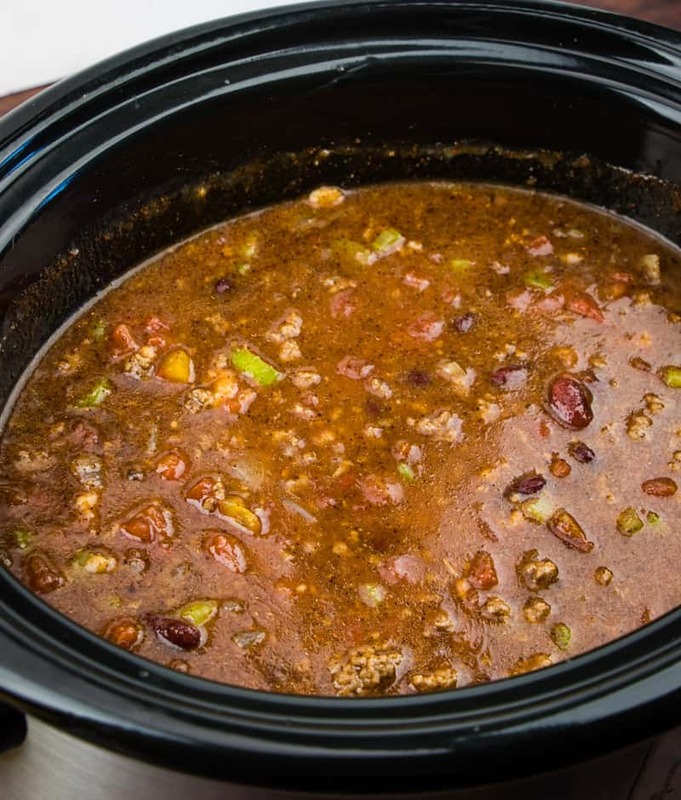 I made the chili only for an Olympic themed Family Fun Day at my church.When it was finished cooking my 6qt crock pot was 3/4 full. By the time the event was over I had one and one-half to 2 bowlfuls left over for me eat.and everyone else had a healthy portion of their chilis left over. I would dare say that I got the Gold Medal for my chili. 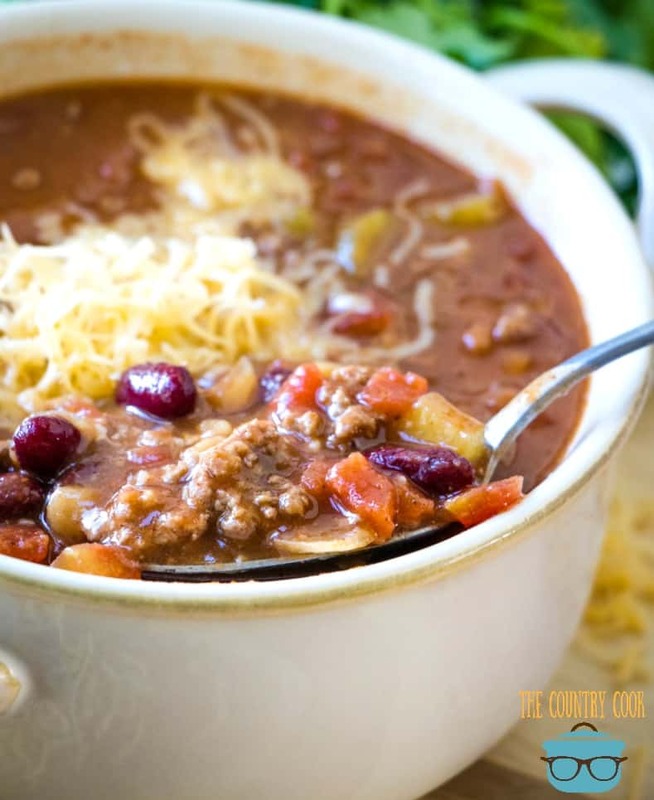 This has been my go-to chili & cornbread recipe for almost 5 years. As soon as the weather starts to drop, my boyfriend begs me to make this biweekly. 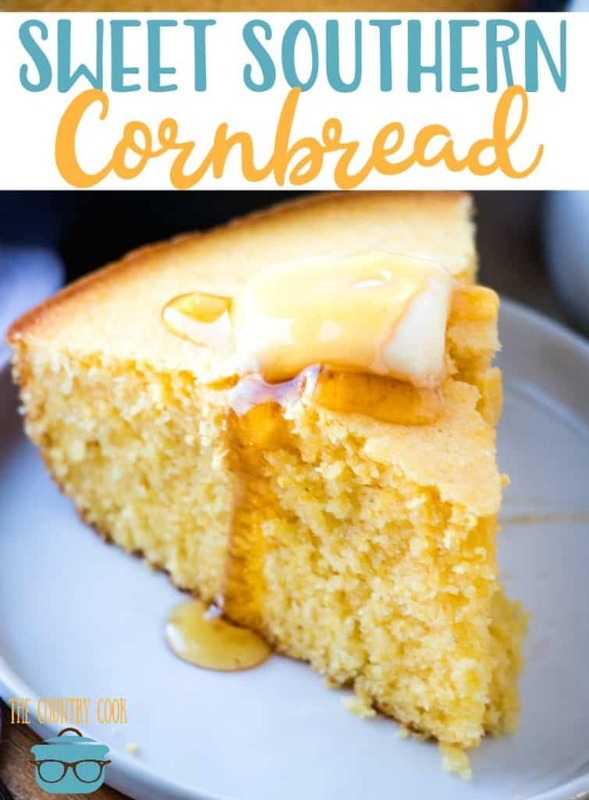 I don’t normally leave comments but I can’t get over how delicious my cornbread turned out. I was nervous because all I had was a cupcake tin so I had to watch them like a hawk. They came out perfect after 15 minutes. I didn’t adjust the recipe aside from the bake time. Thank you for this recipe! This is one of our favorites! We do it with leftover Tri tip. I’m wondering if it can be done in a large stock pot instead?